Jaarvis is one of the leading accelerators in India that analytics industry is blessed with. With an objective of converting an entrepreneurial idea into a fundable proposition in the shortest possible period of time, Jaarvis Accelerator focuses on early stage technology based startups. It helps the startups build a sustainable business rapidly by offering a four-month residential accelerator program which is developed exclusively by the seasoned entrepreneurs. 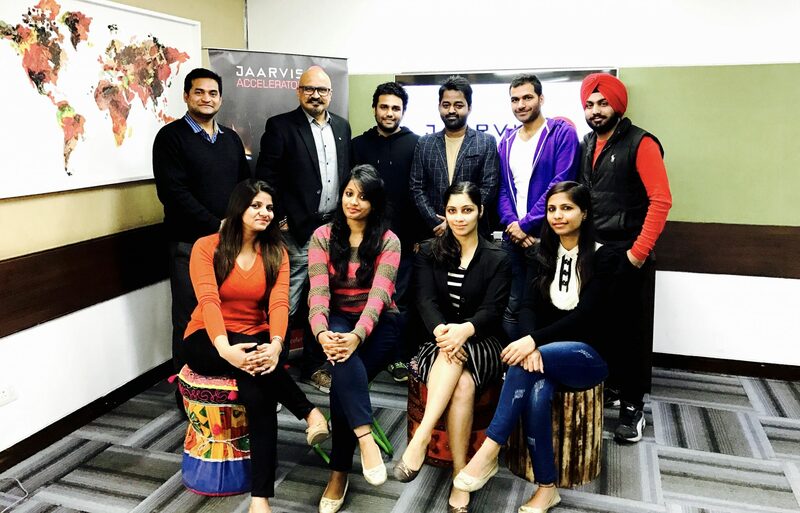 Aiming to help startups develop, build and grow their business, Jaarvis provides concrete plans for development, marketing and customer acquisition. Cofounded by Jaspal Sarai and Gabriel Fong, the accelerator program is headed by Anil who is the Principal at Jaarvis Accelerator. An entrepreneur at heart, he believes in dreams and is passionate about helping new startups succeed. At Jaarvis Accelerator, Anil works with startups to help them create an effective go-to-market strategy, get the revenue traction going and achieve what they need to get to next level of funding and growth. In a tete-a-tete with Analytics India Magazine, Anil talked in detail about Jaarvis Accelerator, the startups in the analytics space and much more. Dive in to find more. Analytics India Magazine: How does Jaarvis pick on the start-ups to extend its support? What qualities do you look for in a start-up? Anil Chhikara: We identify early stage startups that are looking at disrupting established markets using tech innovation. We help them in their startup journey from a ready product or service to a viable revenue generating business. As we are dealing with tech startups focused on enterprise business, we look for deep and relevant domain and tech expertise in the founders, solving real large scale problems and potential to create big disruptions. AIM: What kind of support is extended by Jaarvis to these start-ups? AC: There is much more to a successful startup besides a good product or service. The journey involves the right legal, technical, domain, marketing, distribution, sales and other support besides access to mentors, industry experts and investors. Our 6 month acceleration program provides the right mix of handholding to the startups so that they can successfully cross the chasm from a product/service with potential to generating revenues from customers. We offer 24×7 access to our office space, creating an environment where young entrepreneurs learn and succeed. With a strong base and connect across international markets, we are also one of the few accelerators in India to offer its startups access to international strategic partnerships. For example, we offer a special Fintech Blockchain accelerator program in partnership with a HongKong based large financial institution. Under this program, startups get access to customers in Hongkong for early validation of their products and services, access to matured financial market and global industry experts. Besides these, we also provide funding support of up to $50,000 USD depending on the startup requirements. AIM: What strategies should a startup in the analytics space adopt to make a mark in the industry? AIM: What are the major challenges that a start-up in analytics domain face today? AC: We believe the biggest challenges facing the analytics startups is talent. Good talent is difficult to get and that’s why the cost of talent is also going through the roof – making it that much more tough for startups to hire them. Besides this, the perennial funding challenge remains – how to find that right investor who gets it, is willing to bet on it and gives the money. Having intimate understanding of the industry and business sector being focused upon is also critical. AIM: Could you name a few analytics startups that Jaarvis has helped in setting a foot in the industry? AC: We have a few startups in this space, Sniffer is using analytics in finding the best experience for a user, Arbunize is using analytics to map the cultural aspects of organisations and the individual traits, so that the right match can help organizations hire the right people. There are a number of others who use analytics very heavily to serve the core value of their venture to the user. We are currently also inviting applications for Big data and Analytics startups to further explore the cognative applications, and specific insights into an established industry sector, that can create significant value for the customers. We hope to have more in the coming months. AIM: How can the quality of startups that are cropping in the industry be improved upon? AC: Startup is a buzz word today, everyone is trying to do their own startup but what they fail understand is that it is not an easy task. First and foremost one needs to understand that starting a new business is no different today than it ever was. It may be that there is more access to information and support to build a new business today, but the fundamentals have not changed. One needs to have a scalable business model with the right mix of strategies, bootstrapped biz plan, prior research and a clear understanding on the sector in which they would work upon is a prerequisite. Besides this, the best way is to connect to the right set of mentors and industry experts that can not only help them validate their ideas but also provide access to real world use cases. Overall quality has improved significantly compared to 2 years ago and we are seeing more maturity in the startups today. AIM: Do you have any tips for the start-ups? AC: Get Feedback – “No one understands my startup like the way I do”, get this thought out of your head. This is a very critical thing, ask as many mentors and serial entrepreneurs feedback. You have to draw it out in a nuanced manner to see what’s right for your startup and what’s not. Network with as many influencers and serial entrepreneurs as you can, word of mouth can play a big role in the success story of your startup. Play it smart, this is not an easy world ! Research before you start, its critical that one understands where the world has gotten up to before you start reinventing the wheel. AIM: Would you like to add anything? AC: Good to see India picking the pace, and the startup ecosystem becoming vibrant with each passing day. Success never comes to you overnight, you have to be at it constantly. Remember the King Bruce and the spider story? Yes, you have to keeping on trying, things change very quickly in this space. Anil has founded 24×7 Learning, India’s largest e-learning implementation company. Prior to founding 24×7 Learning, Anil had successfully setup and launched businesses in India for two large multinational companies- Parametric Technology Corp, USA and Cimatron, Israel and held leadership positions in Patni Computers, Wipro and HCL-HP. A mechanical engineer by education, he specializes in creating and implementing market strategies, demand creation, international partnerships, setting up distribution networks, B2B market development, product management, acquiring marquee customers for new products, business operations, strategy and high-value solution selling.